Orbit's 3D Mapping solution is a serie of impressive software solutions for all professional UAV users engaged in 3D mapping. Based on years of experience in high precision UAS mapping, these products cover the complete UAS workflow. From fundamental data management after image processing, over advanced feature extraction combining images & point clouds, up to online publishing of all produced 3D mapping data in the customer's workflow. However UAV mapping data is produced, with imagery or without, based on LiDAR or via dense matching processing, Orbit supports all. Manage clearly all processed data files and bundle into manageable projects. Clean up artefacts, control positional accuracy, consolidate and deliver. Manage your content, extract and process, and open your market to new consumers, all within one platform. Maximize your efforts and let the data do the work. 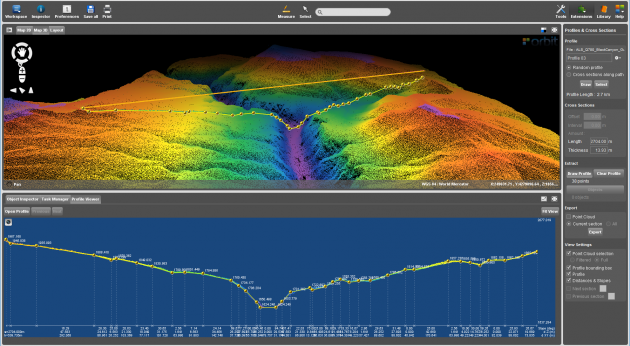 Using the advanced measure techniques 3D data can be extracted to feed into any GIS or CAD. 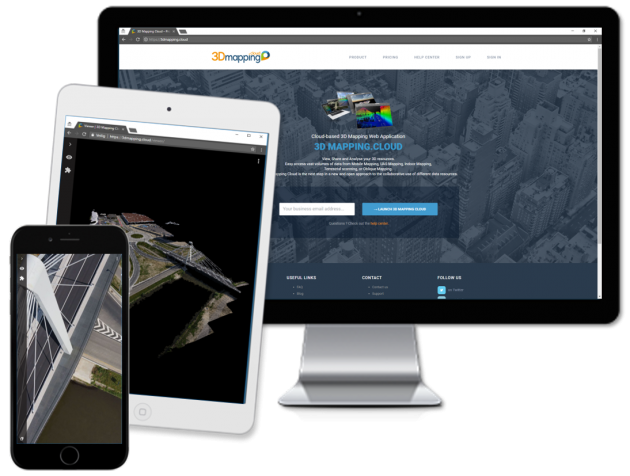 Orbit’s 3D Mapping portfolio provides the tools to publish UAS mapping content and extracted features & assets online, either via 3dmapping.cloud or on-premises. View, share and analyse your UAS mapping resources from any webbrowser, app, or 3rd party software plugin. 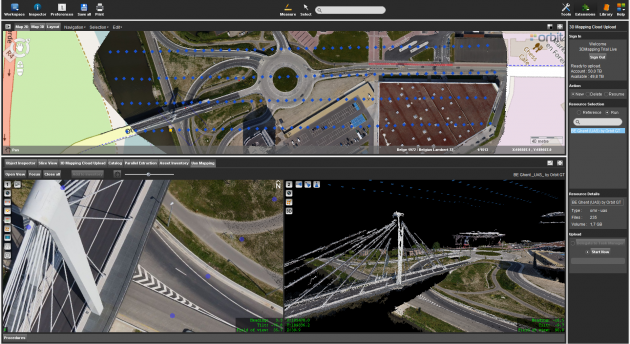 Orbit optimizes all 3D mapping data: Mobile, Oblique, Indoor, Terrestrial, etc. Roam through terabytes of point clouds and imagery easily and combine with own produced UAV projects, imagery, vector and raster data. Limitless. Easy. Fast. Orbit’s intelligent Feature Extraction solutions provide manual, semi-, and automated measurements, overlays, asset inventory workflows, clash detection, profiles and cross sections, volumetric analysis, and advanced reporting tools. Orbit’s Publishing SDKs and APIs allow anyone to access UAS mapping content from within their workflow, business intelligence tools, or any host such as your favorite GIS or CAD system e.g. ArcGIS, ArcOnline, AutoCAD, QGIS, MicroStation and more.